This is a super fun banner that is crafted with neon colors that glow under black lights. 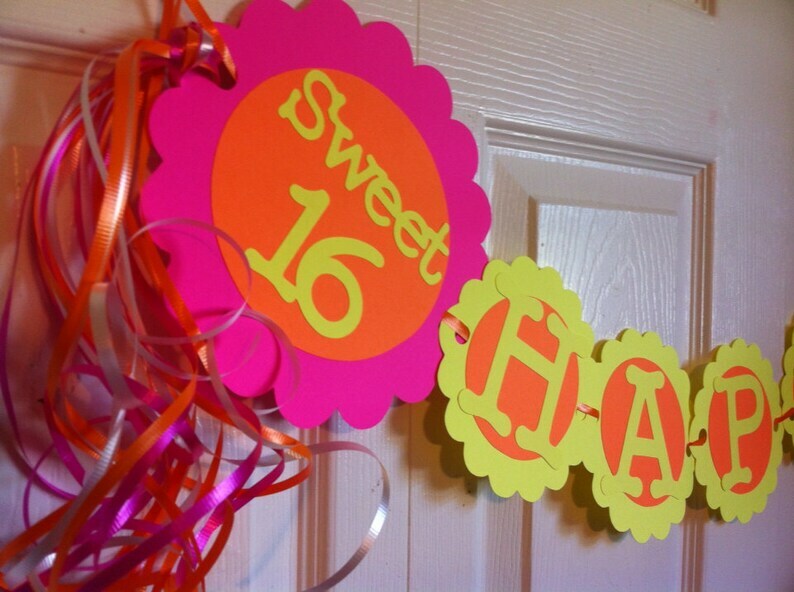 A fun way to celebrate the special Sweet 16 . Please include the following on checkout.